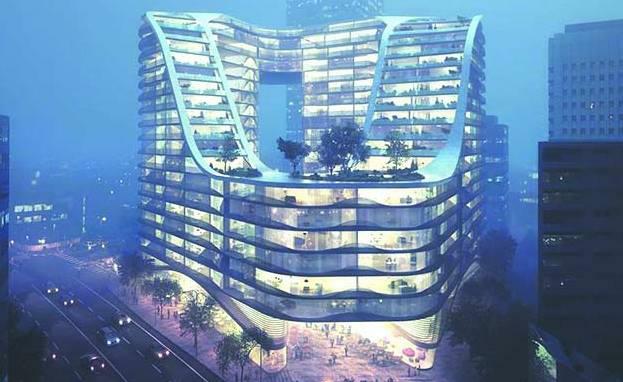 Are concerns about over supply of apartments in Inner Sydney warranted? The supply of newly built dwellings in Sydney has increased in recent years. This has, in part, been due to changing planning policy which has seen the supply of apartments increase significantly across Inner Sydney suburbs such as Alexandria and Zetland. An accommodative interest rate environment has also had the desired effect of raising construction starts, whilst increasing inflows from overseas investors has acted as a catalyst for new construction. Strong demand for housing in Sydney resulting in rising capital values has seen competition for residential development sites intensify, particularly in the CBD and Inner Sydney regions. Such is the level of interest that recently, some have raised the question whether there could be a danger of oversupply of apartments in Inner Sydney. Any such concerns should be balanced against historic levels of undersupply which has seen the shortfall in housing in Sydney increase by over 40,000 dwellings over the past five years. Growth in the population of Inner Sydney is also expected to exceed that of the Greater Sydney area over the medium term suggesting that demand in areas targeted to deliver significant levels of new housing such as the urban activation precincts of Mascot, Anzac Parade, and Randwick will remain strong. Furthermore, the conservative stance taken by lending institutions post the GFC may actually have curtailed the potential for overdevelopment. Most lenders have required developers to achieve pre-sale rates of up to 60% or 70% on high density schemes prior to extending finance, implying that the potential supply of unsold dwellings could be lower than the current supply pipeline suggests. There is also little evidence to indicate that lenders have eased their lending criteria recently with most schemes currently being marketed prior to construction commencing. Whilst this may mean that speculative development remains low, it does not necessarily preclude the risk of pre-sales failing to complete or the possibility of a glut of units hitting the resale market over the longer term. Although, presently there is little evidence of either scenario, the future path of interest rates could be a deciding factor. The increase in foreign investment flow in recent years, most notably from China, may also imply that the Australian property market has greater exposure to economic developments abroad. Whilst concerns over slowing growth in China are not unfounded, the appetite of Chinese investors for offshore real estate shows little sign of abating. Residential property in Australia may be acquired as a means to diversify risk, gain access to a stable income flow or simply to accommodate children whilst they study at university. All of these factors suggest a long term hold. Increasing levels of foreign ownership implies that the traditional demand indicators (such as price to local income) are becoming less relevant in the supply decision of developers, at least in inner-city locations. Undoubtedly, the question of supply is multi-faceted. One thing, however, is certain. Property markets are by their very nature cyclical. As developers race to secure their next residential development site, they will, no doubt, be mindful of this fact. Emil Roue is the Research Analyst for JLL, based in Sydney, Australia.